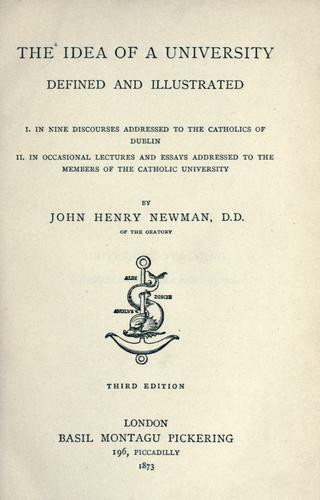 This website takes its name from John Henry Newman’s classic text The Idea of a University, widely considered to be the most influential ever written on the university. The website will be of interest to all those with a stake in the academy, whether university academics or administrators, parents or grandparents, current students or students-in-the-making. Editorial text is in black; quotations from Newman are in sepia/brown; quotations from Newman’s contemporaries in purple; and quotations from modern commentators in green. 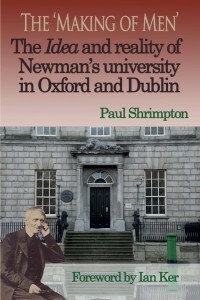 Much of the material featured in this website comes from The ‘making of men’: the Idea and reality of Newman’s university in Oxford and Dublin (Gracewing, 2014). Click the image below for Amazon details on purchasing the book.